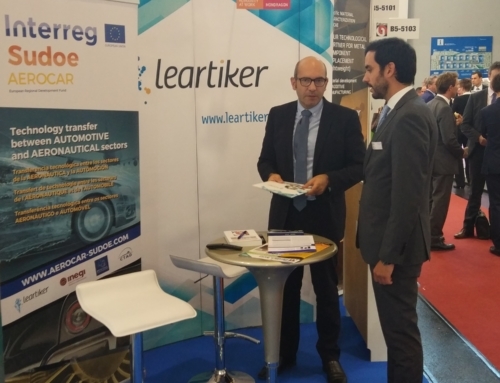 On February 21, Leartiker organized a conference in which international entities participated to analyse the properties and advantages of carbon fibre in aeronautics and the automotive industry sectors. The conference titled « Carbon Fibre Trends in the Automotive and Aeronautic Markets » was part of the Lightweight Technologies conferences organized annually by the technology centre located in Markina-Xemein. Its objective was to publicize materials or technologies that optimize lightening and produce lighter parts that maintain its functionality and mechanical properties. 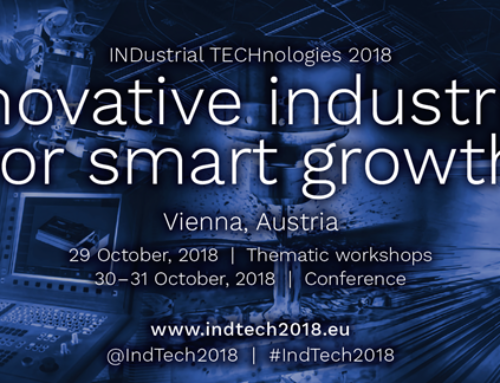 Several leading international companies in the manufacturing of carbon fibre materials attended the event: the local company ASTAR, which recently opened a SMC production line with a referent carbon fibre in Europe; the German company LEHVOSS, a pioneer in the use of carbon fibre in thermoplastic materials; the Austrian Institute of Technology IPPE, and the French company EXTRACTHIVE. Leartiker was in charge of the opening of the conference. 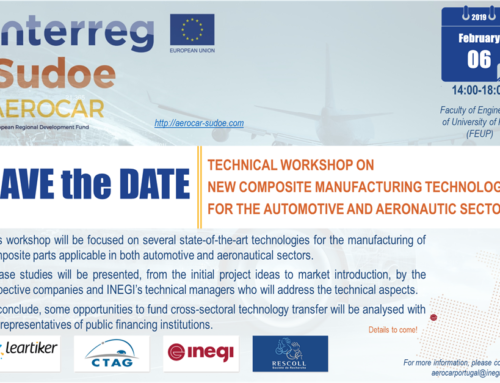 It presented the demonstrator that was developed jointly with the company Aernnova within the European project AEROCAR * (Interreg Sudoe) that leads the technology centre itself. It also presented the material and process alternatives that best suit the product specifications. Vanessa Amaral, from the French company Extracthive, was another speaker who spoke about a post-consumer carbon fibre recovery process. She was followed by Alexandro Fabris, from the German company Levhoss, who explained the different uses of carbon fibre in thermoplastic substrates. 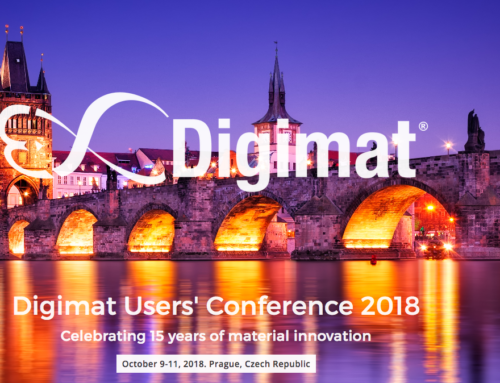 As for Phillip S. Stelzer, from the Austrian Technological Institute IPPE, he spoke about the design and manufacturing processes of an automotive part using this material. 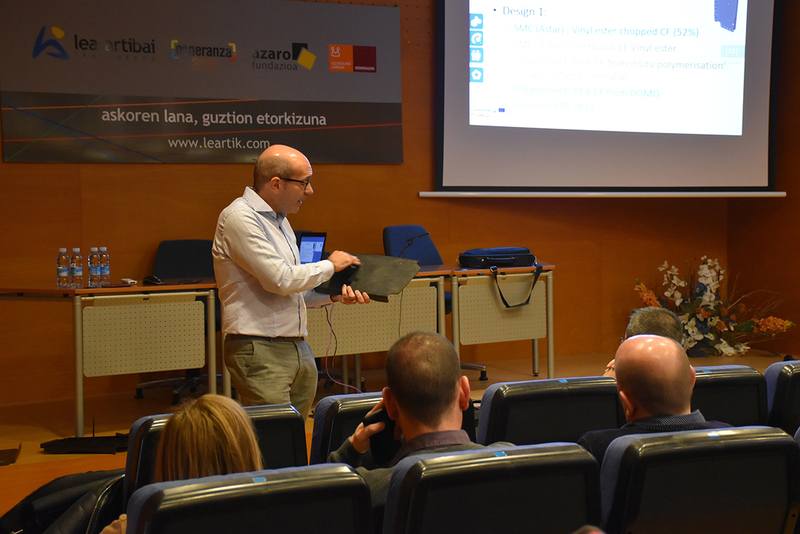 Iñaki Martínez, from the local company Astar (Sondika), focused his presentation on the new production line of blended SMC carbon fibre that is being carried out by his company. In addition to being the manufacturing line with the largest capacity in Europe, they participated in important developments of this type of materials in the automotive sector. In recent years, there has been a clear positive trend in the use of carbon fibre in different applications and this trend is expected to increase in the following years. The reason for the success of this material lies in the existence of large suppliers of the automotive industry that are developing prototypes for manufacturing models in large series. This latter will be produced by 2025, which will lead to a significant price reduction of such material. Aware of the importance of all this, Leartiker opted then for this material which, nevertheless, needs design criteria and manufacturing processes to be taken into account and, of which, Leartiker is currently working on.